Great news! 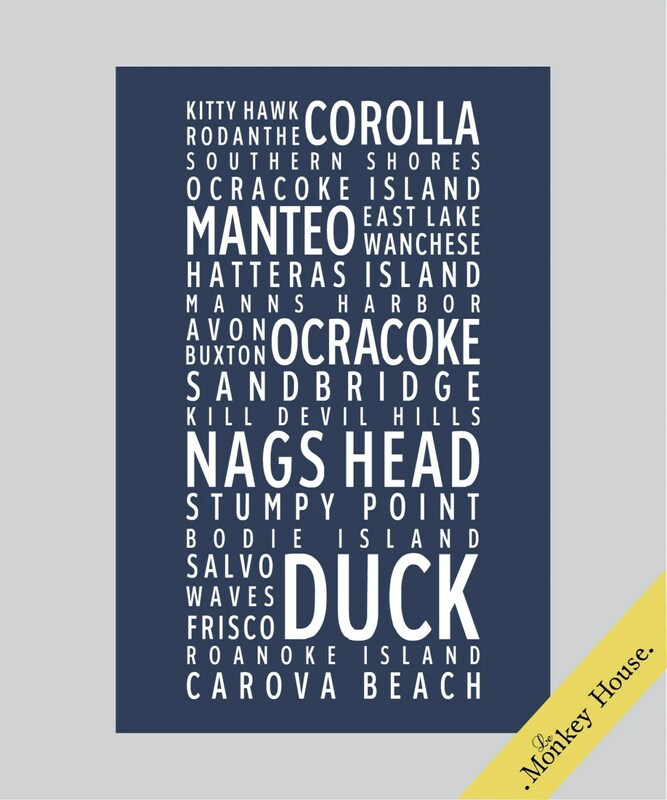 This past Saturday morning we sold seven Outer Banks Neighborhoods posters on our Etsy page! Each one was purchased by a different person and we thought it was something special we would share with you! (A copy of the poster is shown below). We are just so happy that people are falling in love with these designs because they really express such creativity and joy in our eyes. Keep ordering your own copies of LeMonkey House posters! Check out this HUGE print of one of LeMonkey House’s poster designs! There are no other words, but “wow” to describe it. I could barely hold this thing while we were taking pictures of it! It has arrived! Our new outrageously large printer is sitting in the Chikpea studio ready to begin printing! The EPSON 9890 is capable of printing large format prints and Chikpea Graphics will now offer these larger sized prints for our customers. Companies who are looking for somewhere to get their photos or other work printed may contact Raygan for pricing. You can also go to the Chikpea Graphics website to get more information on pricing for large format prints. We are so excited to be offering something new and are already playing with the our new toy! (We may or may not have already printed some samples.) Be sure to check out our Facebook page and our website to get all the details on these new features. The Fab.com feature is over! We want to give a big thank you to Fab.com for featuring Raygan’s beautiful designs on their site and thanks to everyone who went online and checked out or bought Raygan’s designs! Weren’t they awesome?! It has been so fun working to get all these creations ready to be featured and sold online, but it is also a great relief to finally be able to relax a little. And here’s some even better news: thanks to fab.com, we are purchasing a new printer! The printer is an EPSON 9890 and will be perfect for printing larger prints. Now our customers will have the option to purchase their favorite designs in a much larger format!